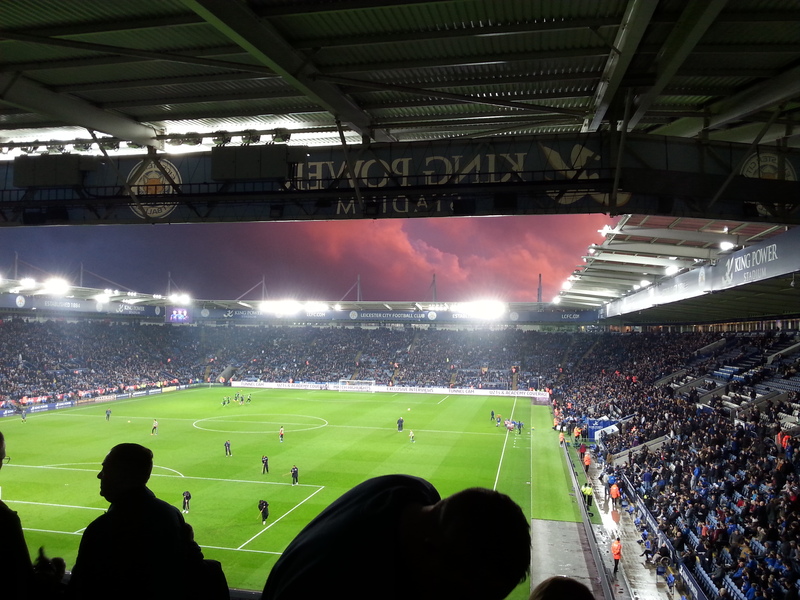 Running out of ideas for match photos – ooh what a lovely sky! Looks like another last spot on Match of the Day with no goals scored but I suppose it could be worse. The game was thoroughly entertaining, especially the first half but grew increasingly frustrating the more apparent it became that our goal scoring wait would continue. It’s been quite a strange start to the season really, five points of a possible nine against Everton, Arsenal and Man Utd at home, then two points of a possible nine against Burnley, West Brom and Sunderland. Oh well, that really does makes our great start even more important. Starting with the team news; it was pleasing to see Pearson revert back to a 4-4-2 with wingers. The defence remained the same, meaning De Laet kept his spot at right-back and Moore was left on the bench with Wasilewski getting the nod to partner Morgan for the third consecutive game. 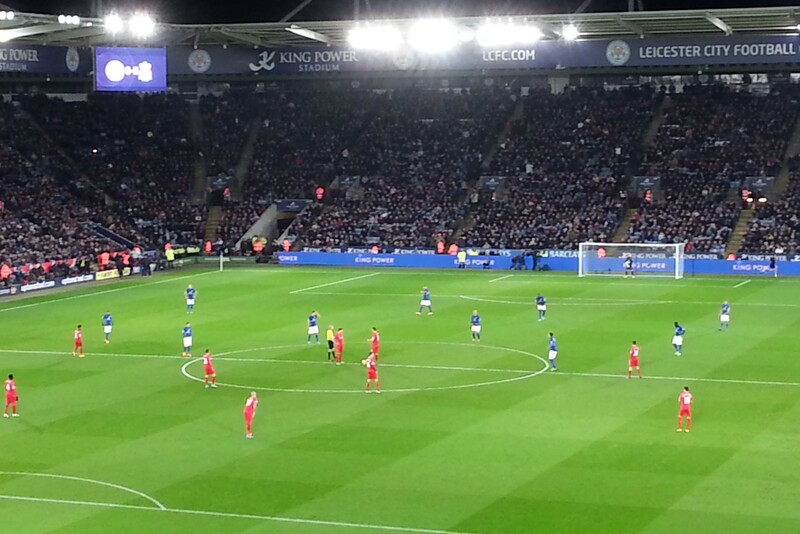 King and Drinkwater were dropped to the bench with James and Cambiasso the midfield duo. 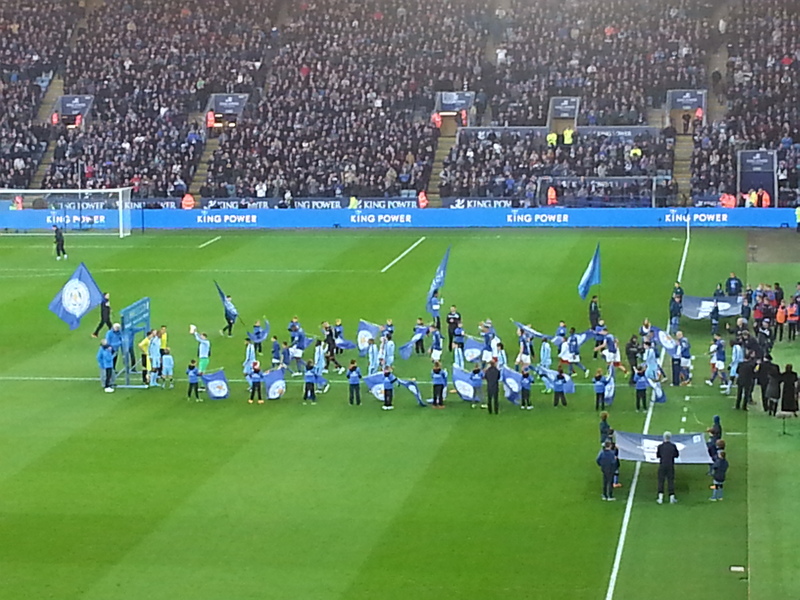 Schlupp and Mahrez provided the width with Vardy and Ulloa the strike force tasked with breaking this goalless run. The mood coming out of that game couldn’t have more different to the Manchester United win. In fact that already feels so long ago. Since the Burnley draw the Foxes have been on a two game losing streak and there was a real sense that this was the perfect opportunity to get back to winning ways and move back up the table. It wasn’t going to be an easy match for us with West Brom doing better than expected and Saido Berahino in great form. Nonetheless it felt like a must win game so it couldn’t have been more disappointing when the final whistle was blown. Wasilewski replaced Moore at the back, and Nigel Pearson opted for a narrow 4-4-2 with four central midfielders in the middle, a formation untested and unexpected. Matty James, Andy King and Esteban Cambiasso came in for Hammond, Mahrez and Ulloa, with Vardy and Nugent the two strikers. It was a surprising team selection when I first saw it as a real strength last season was our great wideplay from the wingers, so to play narrowly and crowd the middle immediately felt an odd decision. Equally, to play Nugent again instead of our top scorer Ulloa seemed strange and I’d have liked to have seen De Laet dropped in favour of Danny Simpson who is yet to make his home debut. What a performance and what a result! There is no way I’ll be able to do this game the justice it deserves but here’s my effort. In a weekend full of football shocks and surprises, Leicester were keen to join in the fun and certainly didn’t disappoint. Following a priceless away win at Stoke, there was plenty of optimism in the air that we could possibly gain a point out of this tough fixture. This Manchester United side who had a net spend of £113.2m compared with Leicester’s £11m this summer, were however the heavy favourites this early afternoon having dominated QPR 4-0 last Sunday and were seemingly determined to build on their “new start”. It was also a significant day for Ritchie De Laet, Danny Drinkwater and Matty James who were all recruited from United’s youth team by Leicester, and will be eager to impress their former club.